Join us for an authentic Thai lunch. 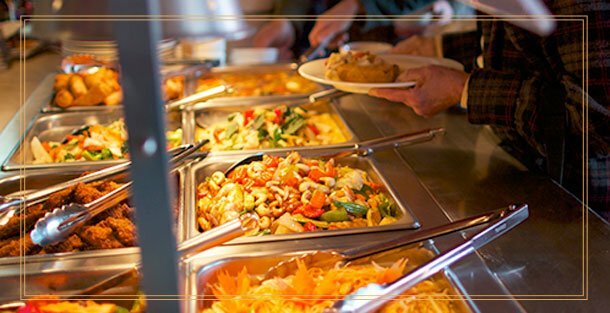 All you can eat lunch buf­fet avail­able Mon­day to Sat­ur­day from 11:30am to 2:00pm. Only $13.99. Lunch Com­bos avail­able Mon­day to Fri­day 11:30am to 2:00pm. Just $10.75. 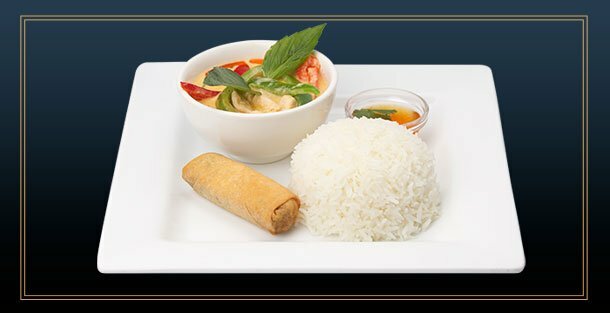 All our com­bos are served with Jas­mine steamed rice, a home made veg­etable spring roll and a soup of the day. Try our deli­cious cur­ries, (red, green, yel­low, Pa-nang and pineap­ple) stir fries, noo­dles and fried rice. Menu items and pric­ing sub­ject to change with­out notice.